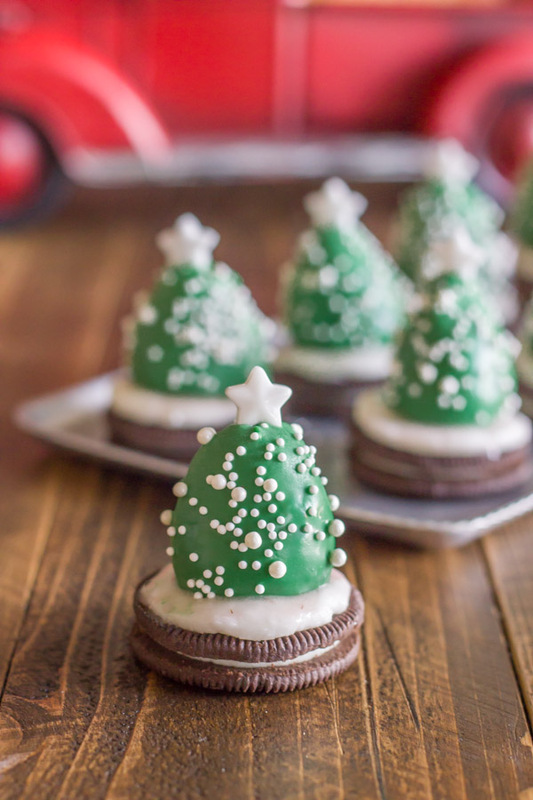 These bite sized Christmas trees are fun to make and delicious to eat. 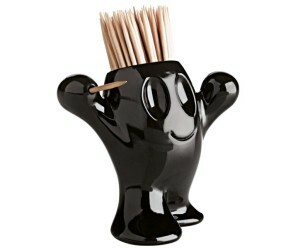 They can add more decor to your Christmas table as well. 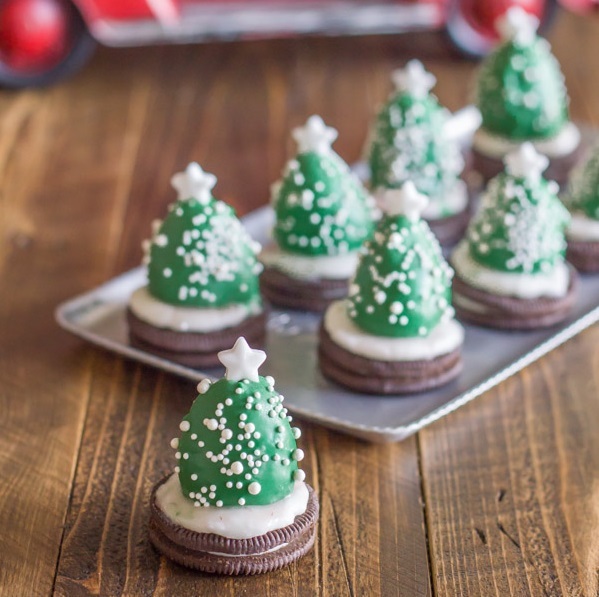 You will be surprised to know that these miniature Christmas trees are made up of Strawberry and chocolate placed on an Oreo Cookie which makes them very simple to make. 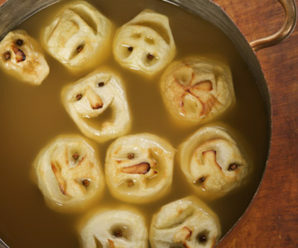 Do it with your kids to enjoy it’s making the fullest. – Dark green candy melts. 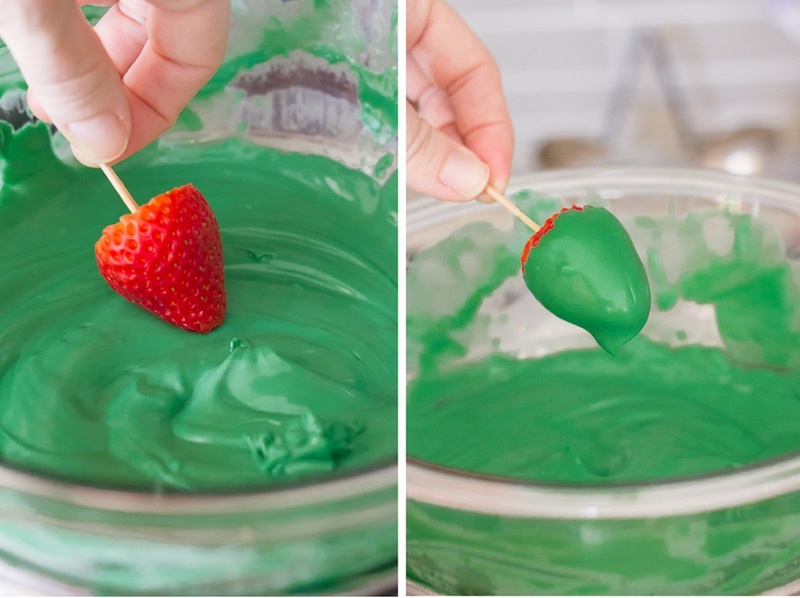 -Simply remove the stems from strawberries and dip them in melted green chocolate. As shown in image below. 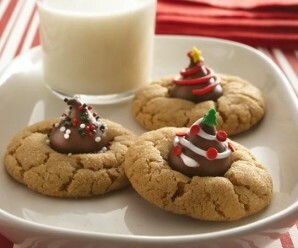 – Put some white icing on the Cookie and with the help of toothpick place the chocolate dip strawberry on it. 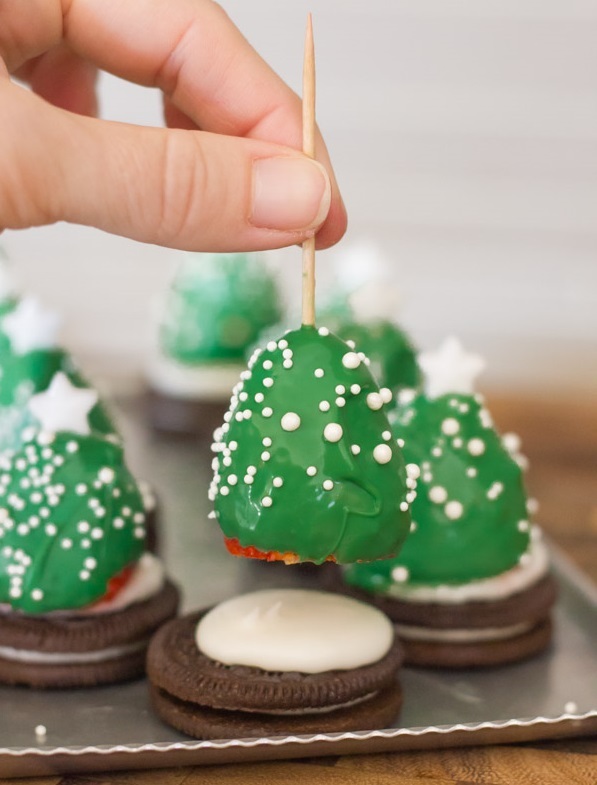 – Decorate it with Candy Star (on top of it) and Sprinklers. For Detailed Tutorial and Recipe: Visit Lovely Little Kitchen.